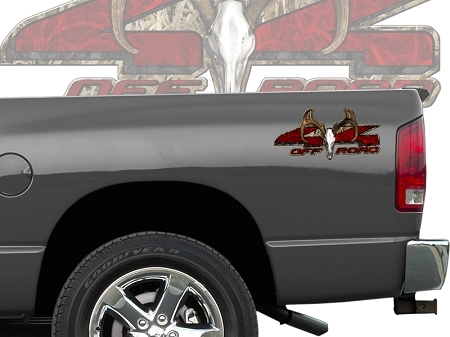 Stand apart from the rest with these camo 4x4 decals for your truck bed. You'll get 2 decals printed on premium vinyl for flawless application and long lasting durability. Includes transfer tape for easy application. Size: 14.5" x 7"
They look great on my truck. I like the fact that they are heavy duty and will last a long time. I have had several friends ask me where I got them. Very happy with this product.